When I was younger, I played a lot of Grand Theft Auto San Andreas. I would also use a lot of cheat codes while playing the game. If a mission was too hard, I would cheat. But I would additionally use some of the silly cheat codes to cause mayhem and have fun. This ended up breaking my playthrough of GTA San Andreas and I didn’t even realise it until it was too late. If you activate this or other potentially buggy cheats and play for a bit then turn the PS2 off, you won’t have any problems. But if you activate one of these codes at the wrong time and then save your game, you might just permanently ruin your save. This is what happened to me. At some point before the mission Mad Dogg, I activated the riot code and saved my game. I then reached the mission, which is well into the second half of the game. 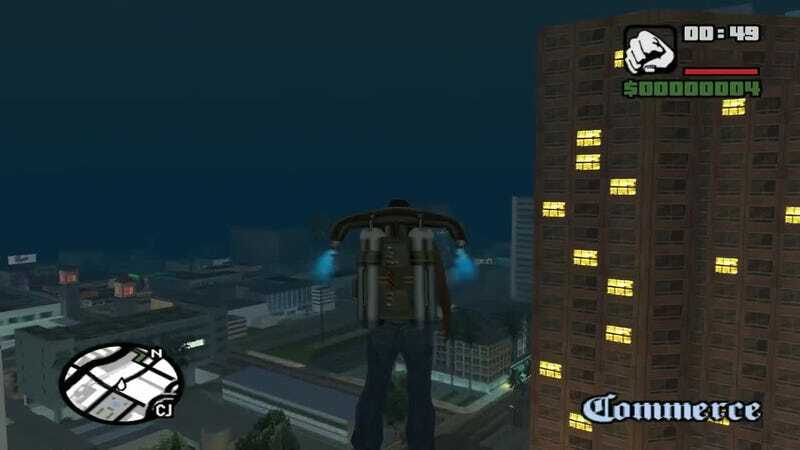 In this mission (spoilers), a rapper named Mad Dogg is trying to jump to his death from a building. The player needs to steal a nearby pickup truck and catch the rapper to save their life.